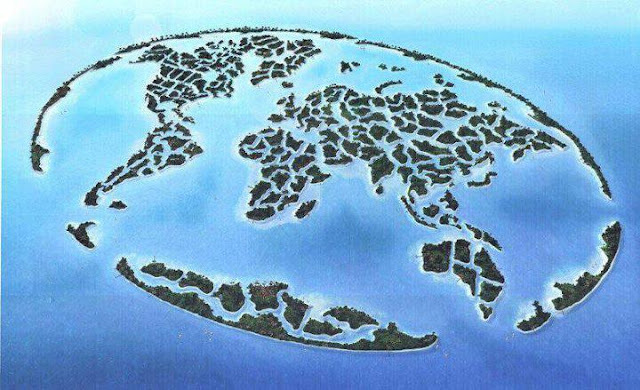 The World or World Islands is an artificial archipelago of various small islands constructed in the rough shape of a world map, located 4.0 kilometers off the coast of Dubai, United Arab Emirates.The World islands are composed mainly of sand dredged from Dubai's shallow coastal waters, and are one of several artificial island developments in Dubai.It can be also seen from space. The overall development cost of The World was estimated as 14 billion USD. The prices of individual islands range between 15 and 50 million USD.